In today’s digital era, handling a business means handling a lot of data. From internal documents to virtual bank accounts; modern companies really benefit from using the right method to store all that information which is vital to the running of the business. This is because access to business data has really sped up over the past few years, and businesses are now expected to be able to access the right information in an almost instant fashion. Access is not the only important thing however, as safety and privacy are also paramount to successful data storage practices. Luckily, there are different methods which can be used to achieve both safe and accessible ways for companies to manage their data. This first method id very commonly used, especially with start-up businesses who don’t have a full data storage plan and budget. As the name says, it consists of the company staff storing their data on their work computer’s hard drives. This method allows the relevant people to get easy access to their much needed data but it does not provide with much safety in the case of hardware and even software failure. In fact, to recover data from a broken hard drive is a complex task which if not done by professionals can lead to incidents of data loss. This is why when it comes to basic hard drive data storage, a good practice is for each staff to use an external hard drive and update it with the new data acquired at the end of every work day. This method does mean that people have make time to save their data, but it is an easy thing to do which should not take more than a few minutes every day. Companies which are more established and have a good data storage policy will often keep their data on their own servers. 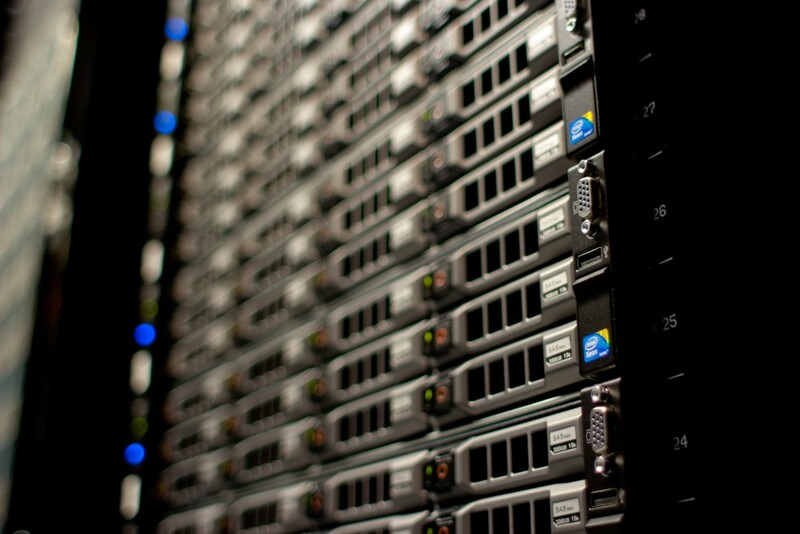 One method commonly used to that effect is to establish a RAID server. RAID consists mainly of using multiple drives to store the data. By copying and spreading the data to those different drives, the RAID method provides a layer of safety and stops data from getting lost in the event that a hard drive will cease to function. There are different RAID setups which will use more or less hard drives in the array, depending on whether a business favors performance or safety. RAID setups that use less hard drives perform better, while setups using more hard drives are safer. The method know as cloud storage mainly consists of storing the data online using services which will sell that online storage space; using their own servers to store our data. This is a very easy method to use and offers great accessibility advantages. Indeed, cloud services can be accessed from any computer which is connected to the internet, meaning staff do not have to be at home or at the office to be able to access their much needed data. Being able to access the data ad-hock is great for people who travel a lot and who have a lot of meetings and presentations to do. Also, those sort of servers are designed so that your data doesn’t get lost is hardware failure occurs. Cloud storage is a great backup safety net, but of course anyone with the right credentials can access the data, so safe practices from staff are paramount to keeping that data away from unwanted eyes. Third party cloud storage service providers allow businesses a convenient and affordable way to store and protect business data. These services are more affordable than other cloud storage solutions, like a private cloud server. They are also easier to manage. Further, they can even improve unified communication and collaborations. Third party cloud storage solutions also help protect your business data using some of the strongest and most up-to-date IT security tactics. This makes them an excellent option to consider for your business storage needs. Whichever method is being used, it is important for businesses to train their staff to work with their chosen data storage policy. As businesses evolve, they can move from one method to the other. You may even eventually consider SaaS business solutions. Ideally, most businesses want to keep their data in-house. So whilst using cloud services and basic hard drives might be a good way to start, the aim should be for each business to own their own servers. Of course, this requires qualified technicians to be there on-site and can raise some of the costs, but ultimately it is the safest and most self-reliant method available. If you are a small business owner and do not have the means to research and record your own data and still afford your ecommerce web hosting bills, there are many other methods to secure this information. By visiting the SBA website, you can access databases both public and private. These databases have incredibly vast amounts of information sourced from federal agencies and private sector companies. So, any information you could possibly need to make future business decisions is there. Make use of these resources, your business will thank you for it.